When both the sides of the ball becomes rough and hard, as we know the swing of the ball depends on shiny leather part, so it nearly becomes impossible for the bowler to swing the ball in or away from the batsman. But if one side of the ball weighs more than the other side of the ball then the ball might swing on larger weight side or heavier side of the ball ignoring seam position, seamy part and wrist position. That means if the left side of the ball weighs more than the right side of the ball then the ball swings away from the batsman and similarly vice versa. Generally these things can be happen in cricket some times when you tamper the ball on one side so that to swing on the other side of the ball. By tampering on one side of the ball that respective side might lose its weight and the other side of the ball may become heavier and hence the ball might swing on heavier side of the ball. 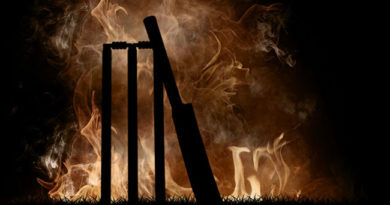 If you tamper the ball knowingly or unknowingly then you might be charged or imposed by the match referee according to cricket laws in the name of spirit of the sport. If the seamy part of the ball doesn’t lose its hardness then you can seam the ball in or away from the batsman. And even if the seamy part of the ball loses or doesn’t lose its hardness you can go for off cutters and leg cutters which generally depend on old balls with rough, hard leather areas where you can roll down or drag down or run down the rough leather parts with your fingers to cut the ball into the batsman or away from the batsman. Remember these features mentioned above are based on when the ball is old under condition two. 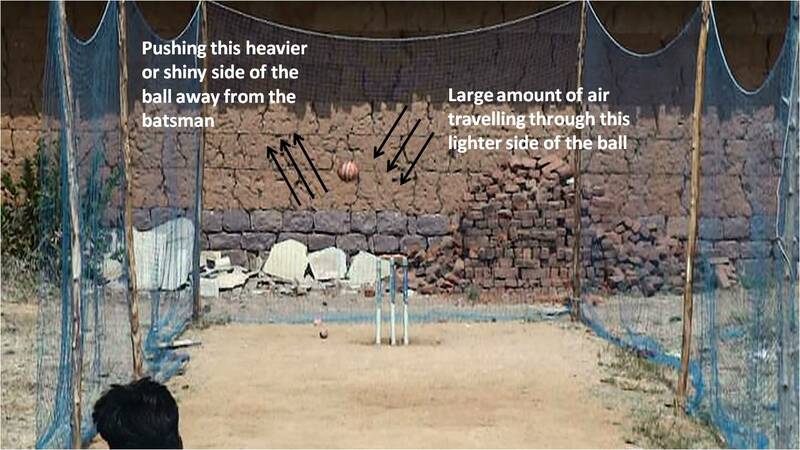 When the ball is new the presence of moisture in the pitch, breezy conditions, speed of the wind, clouds covering the pitch might help you in swinging the ball into the batsman or away from the batsman. Pitches and climatic conditions in England, South Africa and Australia mostly favor swing when the ball is new. It doesn’t mean that other countries do not favor the swing, but not to a greater extent when the compared to countries mentioned above. As the match goes on the temperature rises, the moisture in the pitch disappears, the wind slows down, then the ball stops normal swinging after between 15 to 30 overs. After 30 to 35 overs the ball becomes enough old to start reverse or late swinging. 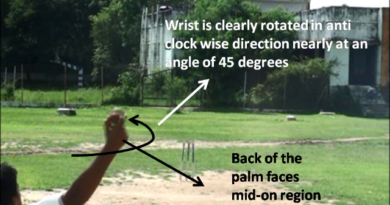 When the ball is old interestingly dry pitches, hot climatic conditions, wind moving from left to right or right to left or coming from front of bowling end favors the ball to reverse swing into the batsman or away from the batsman. Generally pitches and climatic conditions in sub-continent, sharjah and some of England, South African, Australian pitches mostly favor reverse swinging when the ball is old. At the end of the day the conditions are important what ever the country is to swing the ball. 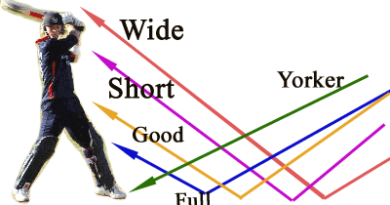 What is follow on in Cricket ?